Culebra offers a variety of treasures to the eco tourist! Birding: the best non-sea birding is in the marsh behind Flamenco Beach, the one behind Dakity bay and the hedgerows that line the road to Zoni. Obviously, seabirds are just about everywhere; gulls, sooty terns, frigates, pelicans and boobies. There is a very good guide out: A Guide to the Birds of Puerto Rico and the Virgin Islands, by Herbert Raffaelle. 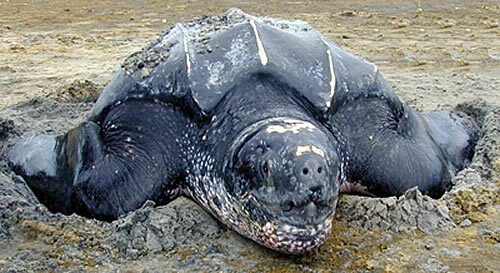 Turtles: leatherback and hawksbill sea turtles nest on Culebra's beaches. Nesting season is April. Seagrass beds close to shore provide shelter and food for green sea turtles. Please, share your Culebra pictures!